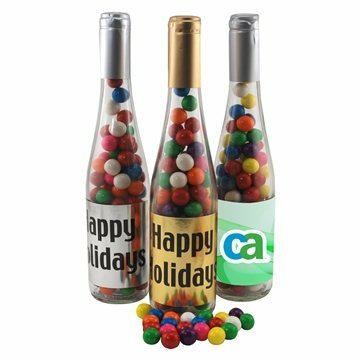 11" champagne bottle filled with Gumballs. These products were precisely what I was expecting and arrived on the scene superbly. The price was excellent! Colors were per request. The item was well worth the value. Excellent, appeared great, people really liked them. thank you for a wonderful suggestion at the perfect time. The products were great in price and quality. Thanks, AnyPromo! This worked perfectly for our retreat. They came as asked for, around the date guaranproductd. Excellent service. Great product and price. It is exactly what we were hoping for!